JVM + java runtime libraries + java package classes (e.g. util, lang etc). 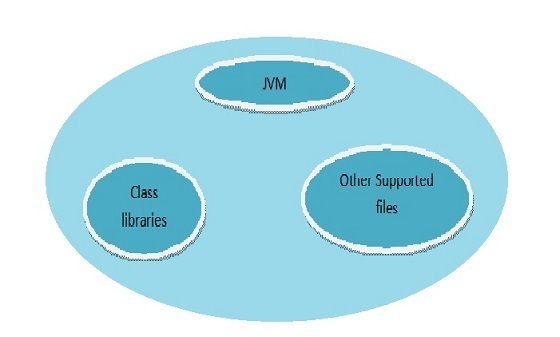 JRE provides class libraries and other supporting files with JVM. It not provide any development tool like compiler, debugger etc. JRE+ development tool (compiler, debugger etc.). 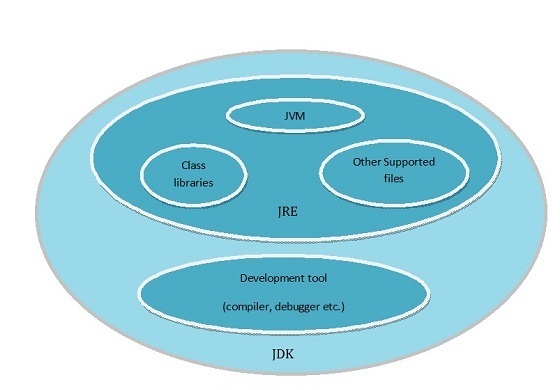 JDK contains tools to develop the application and JRE to execute the application. To describe variable/constant/method/class/interface etc use full descriptor. E.g. : rollNumber, firstName, lastName, getTotalMarks(). Use first word in small letters and all remaining words will be capitalized. E.g. – rollNumber, firstName. Use all letters in upper case. E.g. – MAX_MARKS. Use first word in small letters and all remaining words will be capitalized. E.g. – getTotalMarks(). for getters – use get as prefix to property (for non Boolean properties). e.g. – getRollNumber(). for setters – use set as prefix to property. e.g. – setRollNumber(). use is as prefix to property(for Boolean properties). e.g. – isNewStudent(). Use capitalized words for class/interface name. E.g.- HelloWorld. For clarity of the code add comments.